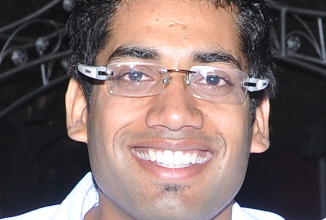 I have a form (ID: 40218973661862) with a field where the user can type in a number. 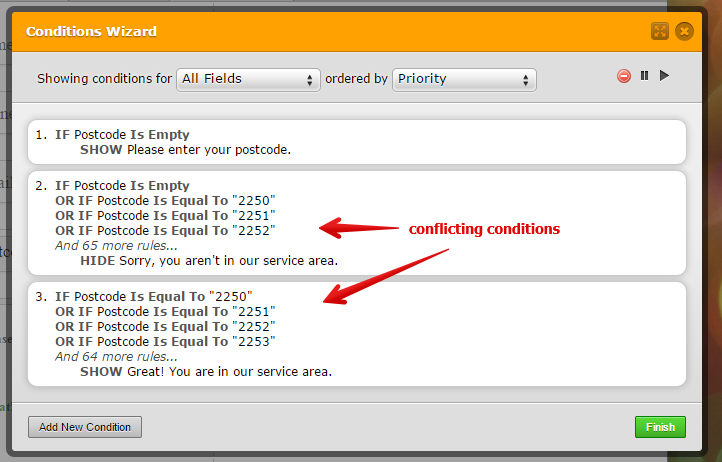 There are a lot of conditions set up so that depending on the number entered, different text will be hidden or displayed. The form will not submit. Nothing at all has changed on the site or in the form that I am aware of. The field has a maximum length of 4. If you find my version applicable to what you need, then you can just clone it so that you can review it better in your Form Builder. Please inform us if there is more we can help you with. Thank you so much for your help. The support I get from JotForm is probably THE BEST anywhere - you really go the extra mile, taking screenshots and developing improvements. Adjusting the Max Value has fixed the problem, thank you. I'm not sure why I never saw the error before. The simplified rules look excellent Jonathan, but I'm afraid this is an arbitrary list of numbers... there is no smooth sequence from 2250 - 2315. If there was, it would be an elegant solution I'm sure. For me Greater than and Less than conditional rule would act same as putting an individual number. Yes it would simplify the conditions as it will count whether the condition is met, greater than or less than. 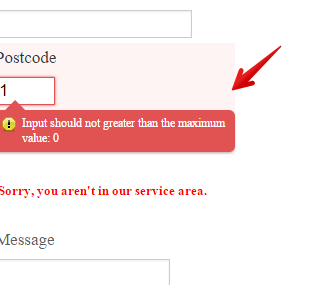 If you still want to manually encode the number you can use "Is Equal To" to "Show" "Great! 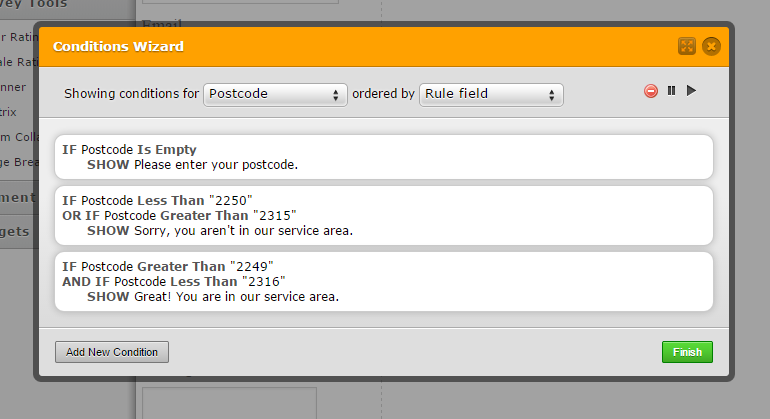 You are in our service area" and "Is Not Equal To" to "Show" "Sorry, you aren't in ourservice area.". What's the range of the numbers needed to show "Great! You are in our service area" and "Sorry, you aren't in our service area."? Maybe you are right that I could have used < and > conditions. 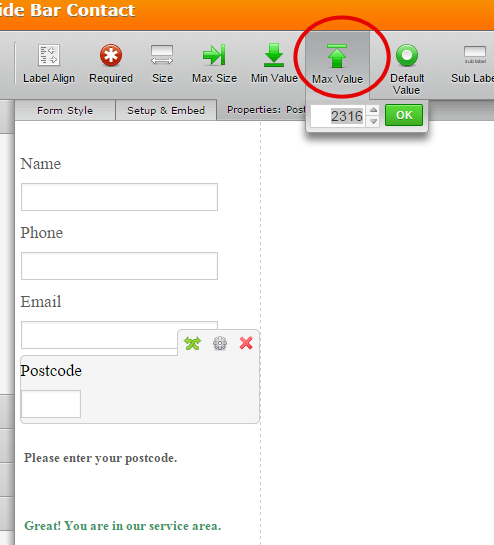 It would have been great if this was an easier way to set up the form originally! I did try a lot of different methods and nothing ended up working just now I needed it. But now that the form is functioning correctly, even though it's not an efficient setup, I'm content to leave it as it it. Thank you very much for your time and suggestions!